Kick your weekend off the right way with mouthwatering dinner, delightful drinks, and blissful ambiance. Close your eyes and imagine yourself on a Friday night. You would want some drinks to celebrate beginning of your weekend. At the same time, you feel starving after work and think that you deserve some good food, something more than a bowl of nacho. Now open your eyes. Here are five dinner and drinks place suggestions that will make your weekend perfect and boozy. Stella Barra is a pizzeria located in Santa Monica. Pizzas are made fresh to order from the open kitchen, light and fresh in their wood-fire ovens. If you need something refreshing to go with your drinks, they also have a variety of appetizers. 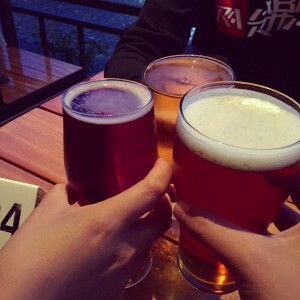 Pizza, salads, and other appetizers all go harmoniously with beers and wines served at Stella Barra. Their hand-crafted cocktails are another charms to try. This modern American bistro located in Westwood serves a selection of season-inspired dishes made from fresh farmer’s market ingredients. For your drink, there are various wines as well as beers to select from. To accompany with your drinks, Fundamental LA offers the testing menu which is a 4-course meal that includes two small dishes, one dinner menu, and a dessert. Of course we can’t discuss dinner and drinks without mentioning Father’s Office. From this lively gastropub, you can enjoy dozens of craft beers on tap. For beer lovers, Father’s Office is the heaven where every imaginable sort of beer is served. Their gourmet burgers are great without beers. But seriously. You can’t deny the combination of beer and burger, can you? If your love is leaning more onto food than drinks, you will love the idea of Izakaya, a type of Japanese bar that serves food to accompany the drinks. Here at Sasaya, most of the menu is served in a tapas style, allowing you to enjoy an assortment of them. 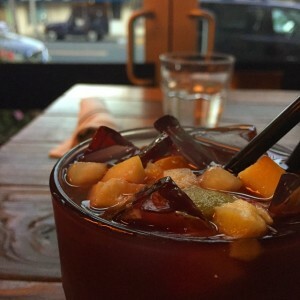 If you want something new for your drink, try their Chu-hi cocktails, a mixed drink of Japanese Shochu and sweet beverages. 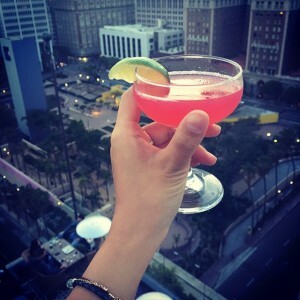 At this rooftop French restaurant, you can enjoy a nice French dinner, a great collection of cocktails, as well as breathtaking city view of Downtown Los Angeles – all in a blissful ambiance. Have a romantic dinner with your loved ones, then go up to the rooftop bar before it gets too crowded. 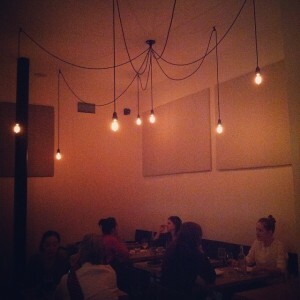 For those who find Perch a bit pricy, they have Apéritif hour from 4 to 6 every weekdays.